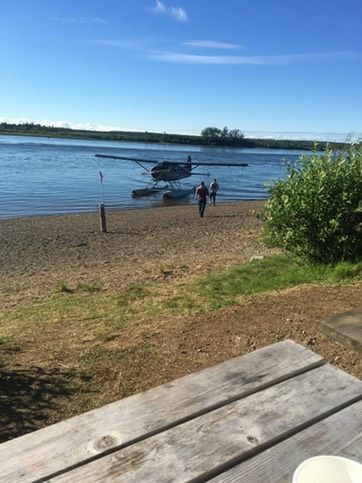 The Nushagak River is around 300 miles long with the biggest King run in Alaska. The annual run is 100,000 to 150,000 King Salmon. 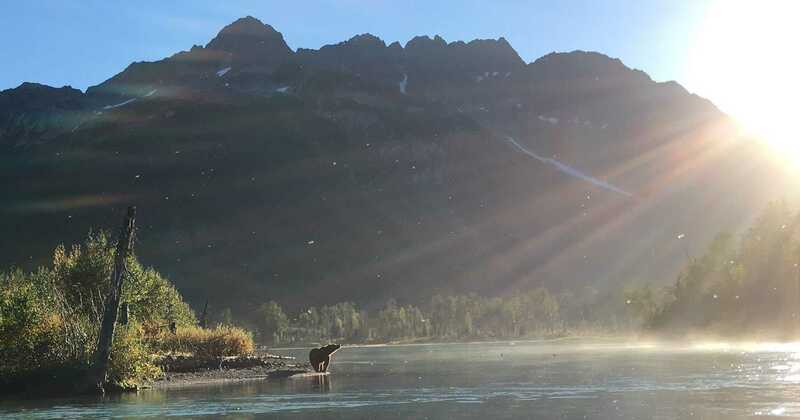 There are a lot of different ways to fish for these king salmon. And they all work. The truth is we may get tired of one and move to a different technique simply for a change of pace. It is easy to switch techniques when you are catching 60 to 100 fish a day. Right out of the ocean these king salmon fight very hard. For boats, we will be fishing out of a flat bottom river sled that fits four plus the guide comfortably. There is more than enough room to fight four kings at once. This can happen frequently with big pushes of fish on the tide. All filleting and vacuum sealing will be done at the camp. Your fish will be frozen and labeled, packed in fish boxes for your flight home. Each angler averages between 50 and 60 pounds of filleted king salmon. This is a short season and we only fish the prime dates. The last two weeks of June and the first week of July. Call for available dates and details. Once we get your dates locked in we will send you a packet with a detailed list of what to bring as far as clothing and personal items. A 6 day/5 night All Inclusive package. Very nice and comfortable after a hard day of fishing. Really good cooks, that include 3 big meals a day plus desserts. 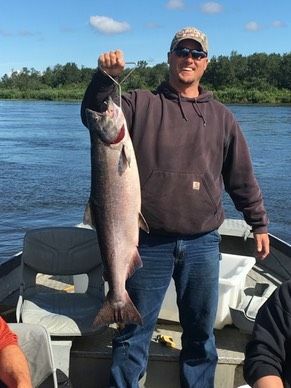 One of the best fishing guides in Alaska. Only the best fishing gear. A fire pit for evening story telling. and a ton of good memories.